Kitten splashing in a saucer of milk A photograph of a kitten splashing in a saucer of milk, taken in 1958 by Terry Fincher for the Daily Herald. A gelatin silver print of a kitten splashing in a saucer of milk, taken 3 July 1958 by Terry Fincher for the Daily Herald. 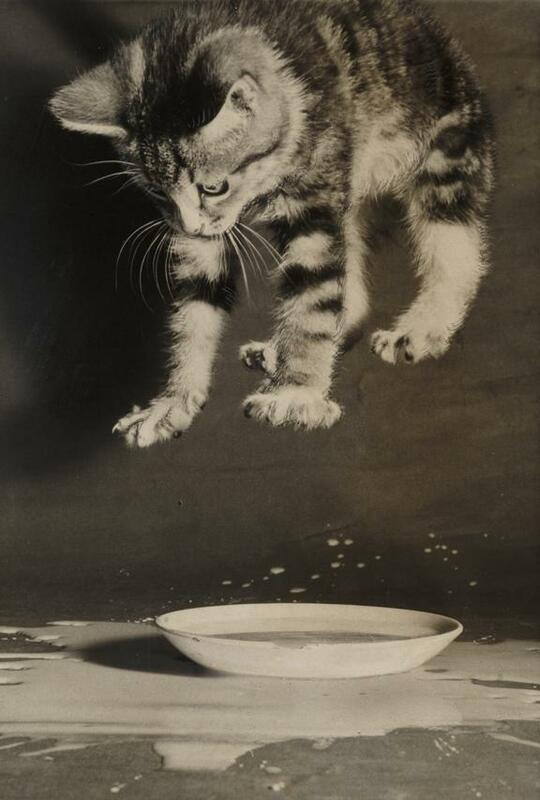 A photograph of a kitten splashing in a saucer of milk, taken in 1958 by Terry Fincher for the Daily Herald.